An Event with the Status = Notice allows your organization to add viewable information to your Event Calendar that does not allow registration. Point to the Events menu and click Add Event Type. Add an Event Type Name. The Category 1 is not relevant since this event won't allow for enrollment or revenue, however you must enter one. 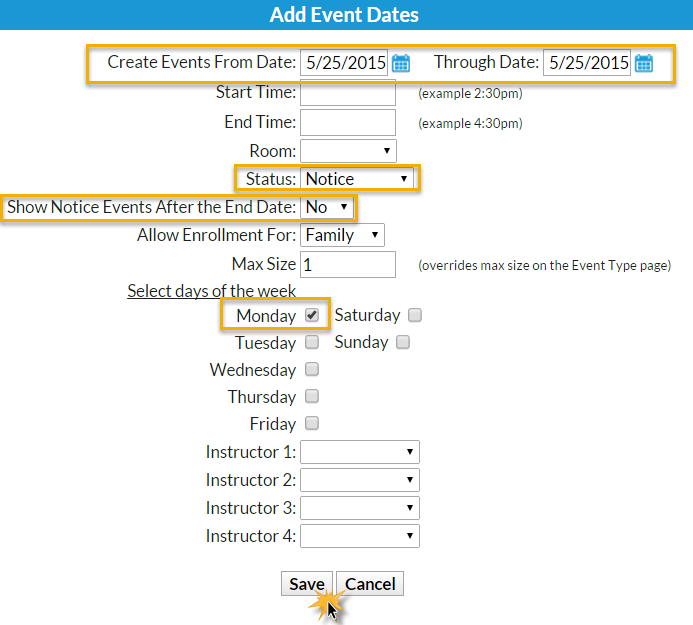 When the Event Type page opens, give the Event Type a Calendar Label, a Background Color, and set Display on Website and Display on External Calendar to Yes. Click the Add Event (Date & Time) button. Add the specific date and select Status = Notice. 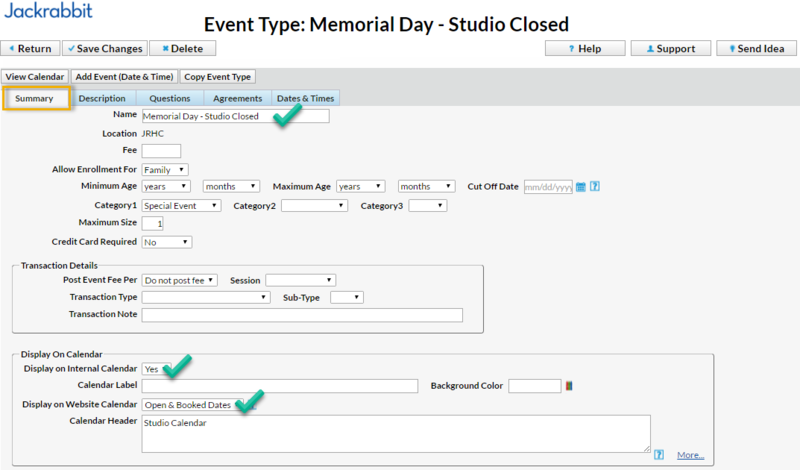 Select Show Notice Events After the End Date = Yes to keep the Notice on the Calendar after the date has passed; leave as No to have the event removed from the Calendar after the event date has passed. 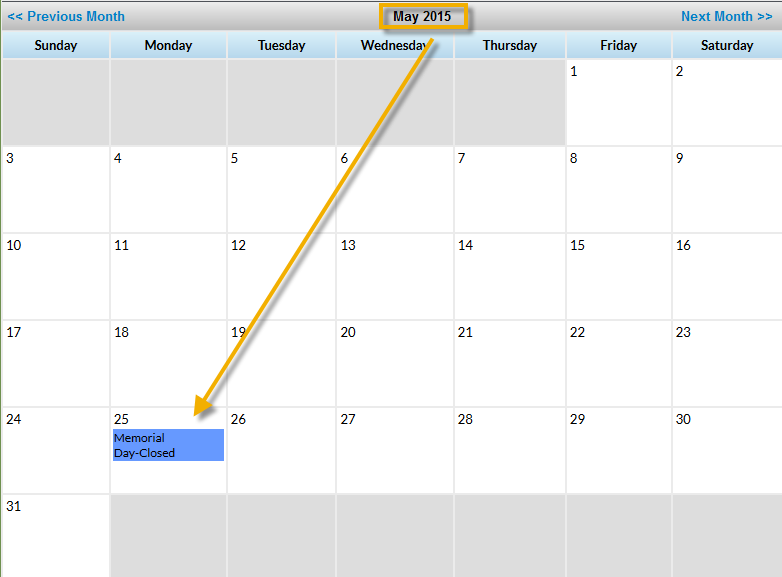 The Notice displays on the Event Calendar, however the event is not a clickable link that opens a registration form.